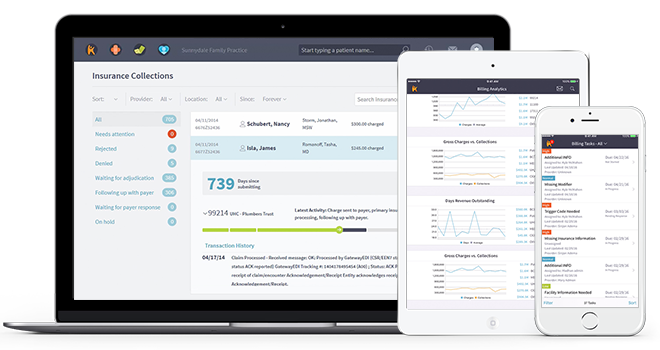 Kareo helps you deliver outstanding patient care while building a healthy practice. Kareo delivers the first and only complete technology platform purpose-built to meet the needs of independent practices. Now, physicians can effortlessly manage all major functions of their practice through one intuitive platform. Kareo is purpose-built for the unique needs of independent practices, avoiding the typical complex, time-consuming, and costly functionality you don’t need. Kareo includes free support, free onboarding, free training, and clear and simple pricing that ensures you know exactly what things cost. Kareo’s goal is to enable your success by helping you and your staff make the right decisions and take the right steps to deliver results. Delivering care, getting paid and finding and engaging patients are all complicated propositions in today’s challenging healthcare environment. Kareo makes the business of running an independent practice easier and more rewarding. And when a practice runs better, patients feel it. Establish and grow a healthy medical practice with Kareo's Clinical, Billing, Managed Billing and Engage modules. We are committed to solving some of the toughest challenges that independent practices face, below are a few of our latest enhancements to aid in improving care delivery, patient engagement, revenue cycle management and regulatory compliance. For a detailed list of recent enhancements view our product updates page. With Kareo Telemedicine, you can connect with patients anywhere at anytime. It’s simple, secure and streamlined—and fully reimbursed by private payers. Looking for a better way to manage revenue performance across multiple medical practices and providers? 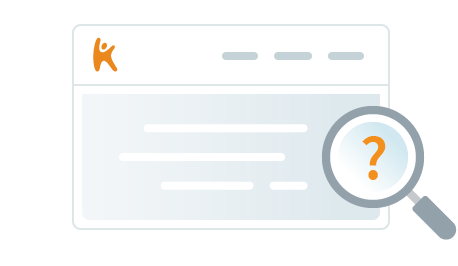 See how easy it is with Kareo Analytics. Enhanced EHR functionality makes it easier for independent medical practices to comply with MACRA and earn positive payment adjustments. Frost and Sullivan has awarded Kareo the 2018 United States Ambulatory EHR Enabling Technology Leadership Award. The Kareo platform can be tailored to the unique needs of your specialty. We have recently improved our platform and updated pricing to better serve mental health and physical therapy providers. Demand for mental health services is growing, and getting paid is becoming more complicated. At Kareo, our goal is to help you provide better patient care, efficiently manage billing and grow your practice. Kareo modules and integrated partner offerings to create a customized solution tailored to the needs of your therapy practice. From getting found online to getting paid, Kareo can help your therapy practice succeed. We have selected a few resources below to help you improve care delivery, medical billing, insurance reimbursements and patient collections. Are you ready for this year's healthcare industry changes that will impact revenue at your independent medical practice? Get up to speed with this free white paper. Our mission is simple: help you make your practice more successful. Right from the start, we make it easy to get up and running with Kareo Medical Software. And that support is ongoing to make sure you’re always getting the most out of our solutions. For the first 60 days, you’ll have your own Kareo success coach – at no extra cost. Get the one-on-one attention and support you need right from the start. Get support anytime, any way. You can contact us via phone, email or chat. We’re always here to help. We’ve found the best available tools and services to help you make the most of your practice. From specialty EHRs to practice marketing, you have lots of options.